Ten years ago, when Ashley Tisdale waltzed into frame as Sharpay Evans in the first High School Musical movie, I instantly both feared her and wanted to be her. Tisdale has played a giant role in my life as a millennial consumer of pop culture. Whether playing a musically inclined mean girl or making her own tunes, the actress and singer brings a bubbly Cali-girl effervescence to her work. I admit, when I found out that I would be speaking with her about her new makeup collection for BH Cosmetics, I had a minor (read: giant, gushing) fangirl moment. Curious to know more about Ashley’s relationship with beauty, we shot the breeze about her favorite looks and early makeup inspirations (spoiler: she learned to master her cat eye from the star of everyone’s favorite mid-2000s MTV reality show). For more exclusive tidbits, read our charming conversation with Ashley Tisdale below! BYRDIE: Let’s talk about your makeup collection. This is such an exciting launch! Can you talk a little about how you developed it? Did you always want to have your own makeup line? ASHLEY TISDALE: I guess it started two years ago. It's been two years in development. So this is a very exciting time. It's scary, and it's also very exciting, because finally, it's going to be out there. I'm a huge fan of BH Cosmetics, who I'm partnered up with. I wouldn't say it was always a dream. It wasn't like, Oh, this is definitely what I want to do someday. But I'm a very creative person. Makeup is one of my favorite things. Obviously, being in the business for so long, and being an actress, you work with makeup all the time. From a very young age, I always liked doing things on my own. I obviously love to work with amazing makeup artists and hair people and love having the help, but I'm also someone who loves to learn and just be able to do it on my own. So a couple years back, I was on YouTube watching these chicks who were teaching me how to do makeup. And I was also learning from my makeup artist. And I think it just kind of evolved into me wanting to do a makeup line. And I think, for me specifically, a lot of my fans always wondered how I do my cat eye, how I do my makeup, what I do, and what I use. What I realized was I get to use amazing makeup and work with the best makeup artists, and so this is kind of sharing those secrets. And I wanted to create something that my audience would be able to purchase. All of these Illuminate products are under $20. I think a great foundation is something that I would spend money on, or a great moisturizer, but when it comes to eye shadows and cheek and lip gloss, you constantly want to change that up every couple of months. You're not sticking with the same thing constantly, so you want to be able to afford it and have the price not be through the roof. So I just wanted to create something that my fans could purchase and love. And it's been so amazing. I just love this line. I wear it every day and to all of my events. My makeup artist, Tanya, just loves everything about it. Being creative and getting to do stuff that you love about makeup has been so much fun, and it's so rewarding. BYRDIE: That's amazing. I feel like I have learned so much in the past four minutes! You must pick up so many cool makeup tricks in your line of work. What are some of your favorite tips that you've learned from makeup artists? 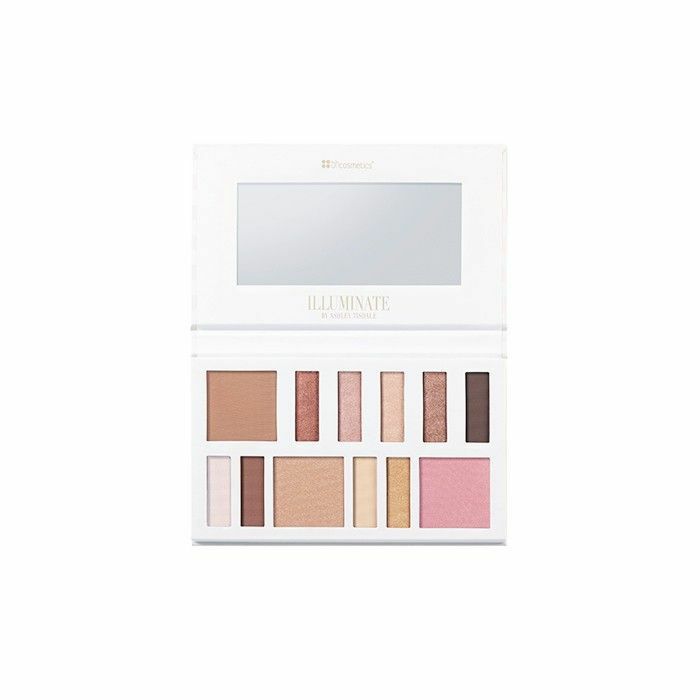 AT: I think makeup-wise, specifically for me, the reason why I named it Illuminate was because I feel like makeup is supposed to illuminate you, and it's supposed to enhance your beauty. It's not supposed to cover up your face. It's not supposed to completely cover up what makes you you. I love being at the beach. My birthday's in the summer, I'm a summer baby, so I guess that's where the Cali-inspired kind of beachy, glowy inspiration behind the line comes from. And through working with amazing makeup artists, a lot of the tips I've learned are, honestly ... just being able to look at makeup as art. You can obviously have different kinds of makeup and stuff, how you put it on and the right way to put it on, so I think over the years that is something that I learned. Like, obviously when I was younger, I would just kind of have fun and be creative. But there's just some times where I was like, Oh, that's a little bit too much. Like if I'm going to go with a brighter kind of eye, like especially a blue eye, you don't want to do a bright color lip. That was one of the things that I learned along the way—to be more subtle. I'm also someone who loves to layer on lashes, like individuals. Being in the makeup chair and hair chair when you're on set takes a really long time, specifically for someone like me who has a lot of energy. Like, I just can't sit still for that long without doing something, so when it comes to doing the lash part people are shocked that I know how to do them on my own. Like, How do you do those on your own? For me I just have a way of doing it. I'm such a perfectionist when it comes to lashes. So that's something I've learned. I think it's just like with anything, the more you practice it and the more you learn about it, the better you get at it. BYRDIE: Definitely. So you mentioned that you've taken inspiration from YouTubers. Do you have anyone else you look up to for beauty? Who were your makeup inspirations growing up? AT: A lot of people don't know this, but I actually learned what a cat eye was because of Lauren Conrad from The Hills. I was just like, Gosh, her eyeliner is amazing! And that's her look. You know, her look is that specific cat eye. And I was obsessed with The Hills, obviously obsessed with Lauren Conrad, and that’s where I learned what the cat eye was. So I kind of just learned to do it after that. That's something that I love to do. BYRDIE: What a fun fact! I used to dream that I'd move to L.A., hit up Club Hyde, and just hang out with Audrina and Lauren all day. AT: And then you got there and were like, What is this? I actually know Lauren. I've met her a couple of times, and I've never even told her that, so it's just such a funny kind of fan moment for me. But other people who inspire me… I guess I get inspired by so many people! Well, Instagram specifically inspires me all of the time. I guess Gigi Hadid is someone who inspires me. I've always loved Nicole Richie, just because I think she's someone who gets the whole bohemian-chic vibe really well, and she's always someone who loves to play with makeup. Like she could do a dark, edgy look—and I love how she kind of blends hairstyles with her makeup, so it all works together really well. I think life just inspires me all of the time, just looking at stuff, and I think my whole style has evolved over the years as well. BYRDIE: Yes, you've had so many hair transformations too! I'm wondering what inspired each change. Do you feel differently as a redhead than you do as a blonde or a brunette? AT: I definitely feel different as a redhead! For sure, I don't feel myself. Like, the strawberry blond was really fun. I still feel like that was dipping my foot into the red area but not going all the way. And then I did it all the way and was like, Whoa, this is so not me. But I love doing different things. I love just changing things up, and I think for me specifically, I'd never done red before, so it was important for me to be like, Well, let me just try this. And I obviously have to color my hair for roles and stuff, but when I'm just myself, it's fun to just be playful and to just try things and see what works. For that specific strawberry blond, I was inspired by Mary-Kate Olsen a couple years back. And I think it was the Charlie's Angels days, so I was like, Ooh, I kind of want to do this. I always loved that when I was younger, and I wanted to try it. I like to have fun. BYRDIE: Speaking of fun, what's your favorite beauty bonding activity to do with your friends? AT: All my girlfriends are into makeup, so when we are on a vacay or like having my bachelorette party, it's so much fun to do the whole hair-and-makeup thing. We all get in the bathroom and kind of like vibe off of each other. I can be really good at one specific thing and someone else can be good at something else, so we just kind of share our tips. I guess it's just makeup that bonds us—and hair. Shop Ashley Tisdale's new product line (available May 27) below! 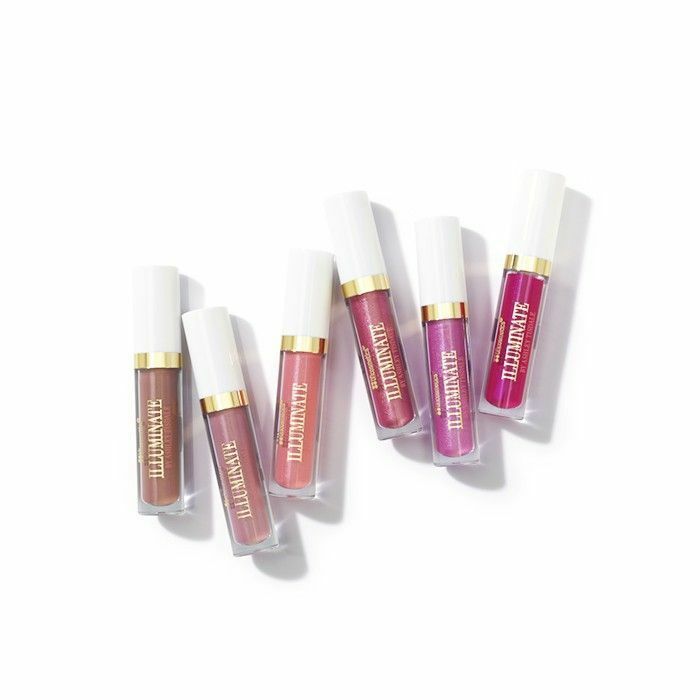 Tisdale's new lip glosses come in six summer-perfect shades. At just $9 a pop, the price is compatible with most drugstore options. At $18, her cheek and eye palettes are a steal. They come in two finishes: Beach Goddess for daytime (pictured above) and Night Goddess for a sultrier look. 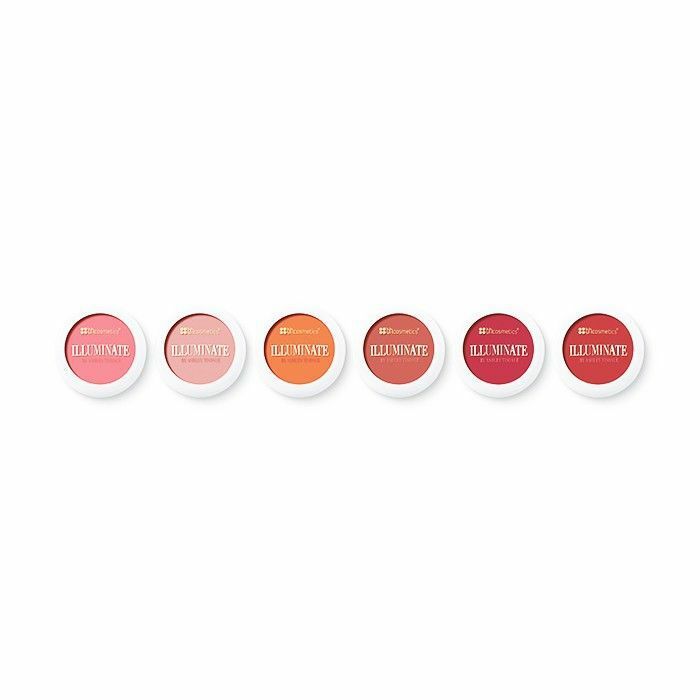 Tisdale recommends using just one of these pigments on both your lips and cheeks for an effortless monochromatic look. Love our celebrity exclusives? Check out our interview (and photo shoot) with Kendall Jenner!